Assume you are buying a car. All other factors are equal. Do you pick the one that costs $15,000 or $30,000? Seems like a no-brainer–go with the cheaper one. Okay, assume all other factors are equal. Do you pick the red one or the blue one? Now it depends on what colors you happen to like. You pick the red one because you hate blue and would get depressed every time you even look at the car. Someone else picks the blue one because he thinks the red car just screams “give me a speeding ticket.” In this case, is one choice better than the other? No, it’s just a matter of personal preference. However, how important is meeting your personal preference if the red car costs $30,000 and the blue one only $15,000? Would you be as depressed looking at a blue car with $15,000 in your pocket? Or what if the $30,000 car has a 10 year bumper to bumper warranty and the other has only three years? Is the $15,000 saved upfront worth it? This isn’t all that different from what happens when you’re picking a college. You have the US News College Rankings that claims to tell you which school is #1 and which is #99. And then there are the numerous books, teachers, and college counselors who are telling you it’s all about fit. Unfortunately, teenagers whose college decision used to revolved around the rankings are now just as focused on finding the perfect “fit.” All too often, the search for fit ignores some numbers that have real meaning in the college process-like college graduation rates. I know that there are all sorts of legitimate reasons to pick a college but it seems to me that if you are going to college then the most fundamental goal is to graduate. Of course, you can get the variation of the car buying metaphor, “what’s the point of graduating from a college that doesn’t offer your major?” But at least this would acknowledge the existence of college graduation rates which all too many students and their parents seem unaware of. There are over 1,500 four-year colleges in the United States. If you have the choice between two where all other factors being equal, why wouldn’t you pick the one with the higher graduation rate? Now “all other factors” may be more important to some people than others. And these aren’t simply a matter of personal taste or fit. You can’t graduate from what you can’t pay for. You can’t graduate as an engineer if the school doesn’t offer engineering. You can’t graduate if the college doesn’t offer classes at times that will maximize your chances to earn money to pay for the classes. These are not trivial issues. But neither are college graduation rates. It’s a matter of simple math. You can attend a public university and pay $25,000 or go to a private college and pay $50,000 a year. Over four years, that’s $100,000 versus $200,000. If you spend an extra year in the public school you’re up to $125,000 and $150,000 for two more years. Given that six-year college graduation rates are considered the standard by the government, this isn’t that unlikely. “It’s still a $50,000 difference,” you might say. Yes, but there are two other factors to consider. The first is that would the person who graduated in four years make at least $30,000 a year for the first two years out of school? Then there is the fact you are more likely to get financial and merit aid at a private school than a public one. $10,000 to $20,000 merit scholarships at private colleges are not uncommon. This isn’t to trash public schools. There are plenty of students who go to public schools, graduate in four years, and get a wonderful education. And unfortunately, there are a large number of students who take out exorbitant student loans to attend a private school and don’t graduate-ouch. Also, if private college tuition keeps rising at its current rate, you’ll soon be able to attend a public school for eight years and the cost still be cheaper than the private school. So here’s an idea. How about picking a cut off rate for graduation rates and then look at all the colleges that remain? If you can’t find any that meet your other requirements from the group, then obviously you’ll have to expand size of the group. But it will probably make you really think about the importance of those other factors. Consider creating a basic list just using college graduation rates and admission rates from the DIY College Rankings College Search Spreadsheet. The spreadsheet is based on the Integrated Postsecondary Education Data System (IPEDS) data and consists of all four-year public and non-profit institutions with 500 or more undergraduates. This is the same data which is used for the College Navigator website. The list starts with 1,604 colleges and universities, 697 are public and 907 are private. I chose a graduation rate cut-off of 50% or greater. This left me with 615 schools, 212 public and 403 private. For private colleges, I used the four-year graduation rate. Given the cost of private schools, I figure you should not have to pay for an extra year to graduate. For public institutions, I used the five-year college graduation rate. With their lower costs and possible scheduling problems (which happens in private schools as well but I wouldn’t be willing to pay for) I thought it was reasonable to use the five-year rate instead of the four. So of the 1,604 schools I started off with, I’m now down to 615. Only a little more than a third of the colleges and universities are left on my list. This is already a problem for anyone who wants to attend school in any of the three states that didn’t have a college that met the 50% cut-off. Just to make sure that all these schools are not very selective, I looked up their admission rates. A total of 285 of the private colleges and universities admitted 50% or more of their applicants while 174 of the public schools did the same. Of the public schools, 64 had an 80% or better admission rate as did 75 of the private schools. On the one hand, that’s not a lot of schools that admit over 80% of applicants and have greater than a 50% graduation rate. On the other hand, there are 139 schools that manage to do that which makes me really want to know why the others can’t. I basically use this methodology to come up with the 50-50 College Listing which you can download in PDF format. The actual schools in this category will vary from year to year. A school that had a 79% admissions rate one year may have an 80% the next and the reverse is equally true. Many people will have to supplement this list for a variety of reasons. Some of these schools are very specialized, such as the Cornish College of the Art. Others admit only women or are offer only majors oriented toward a religious vocation. Then there are schools that aren’t on the list such as private schools with a large engineering cooperative that requires five years to complete rather than four. But it does demonstrate how restricting just two factors, college graduation rates and admission rates, can dramatically affect the number of schools for consideration. It also reveals the importance of making your own customized rankings when looking for colleges. Not only does everyone have their own set of characteristics that are important for a college to have, they also have varying degrees of importance attached to them. In this age of spreadsheets and the internet, creating your own college rankings system is not as difficult as you would think. You probably do it when buying a car or a house. 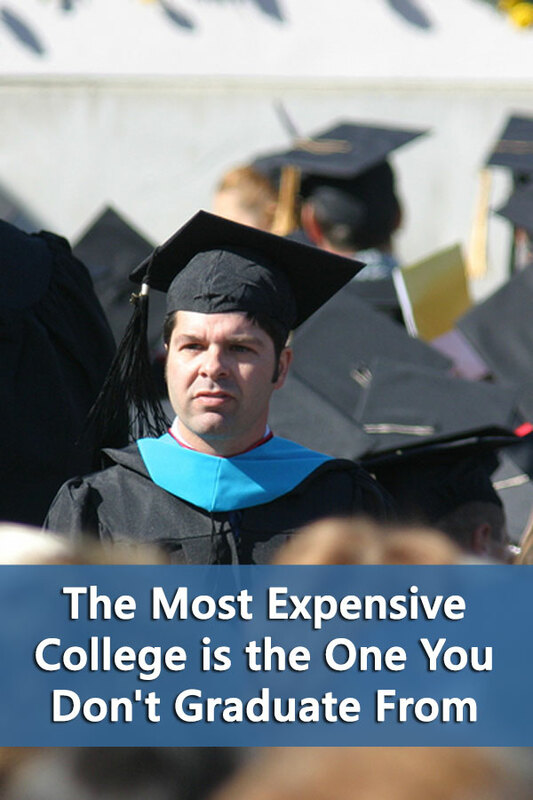 Given the cost of a four-year degree, it makes sense to do it for colleges as well. You can find an example of the process based on the one I did for my son’s college search here.